Ellen Southern is a vocal artist, whose Site Singing project includes visiting lesser-known heritage sites, and making vocal pieces responding to the spaces, alongside drawings, photos and writing. I met Ellen when she was performing a piece under the Avon Bridge, as part of a walk, and I was delighted when she invited me to come and visit one of her sites, Over Bridge. This is a beautiful, abandoned bridge to nowhere on the River Severn in Gloucester, and we explored the space together, while she told me more about the bridge, and why she loves it. Ellen also talked about using her voice in her art, and using her voice to explore spaces. I’m really grateful to her for sending me some of the pieces she recorded on our trip, that are included in the podcast. While we were there, I took photos with my medium format and 35mm cameras, and my mobile phone, and you can see them in this Flickr album (click on the first photo to start the slideshow). You can find out more about Ellen Southern on her website, and follow her on facebook and twitter. Her Site Singing project is documented on her blog, with writing, drawing, and of course, music, and there are also recordings on Bandcamp. There’s also an interview with her about the project on South Art Text. Ellen is also in a band, Dead Space Chamber Music, and they are on facebook, twitter and bandcamp. 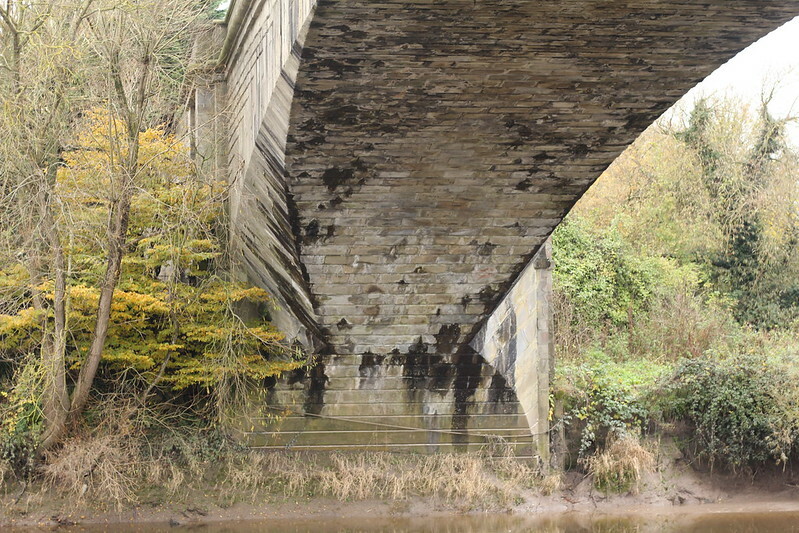 There’s more information about Over Bridge on the English Heritage website. You can download this podcast directly from the Avon Stories Soundcloud, and sign up for all the future podcasts via the Avon Stories RSS and subscribe on iTunes or Soundcloud to make sure you hear all the future stories. You can also follow the project on twitter and instagram, for regular photos of the rivers and water in Bristol.